Cytovation is a biotechnology company specialising in dermatological diseases and develops new drugs for treating various conditions. Their current new drug being developed is for the treatment of cutaneous warts. 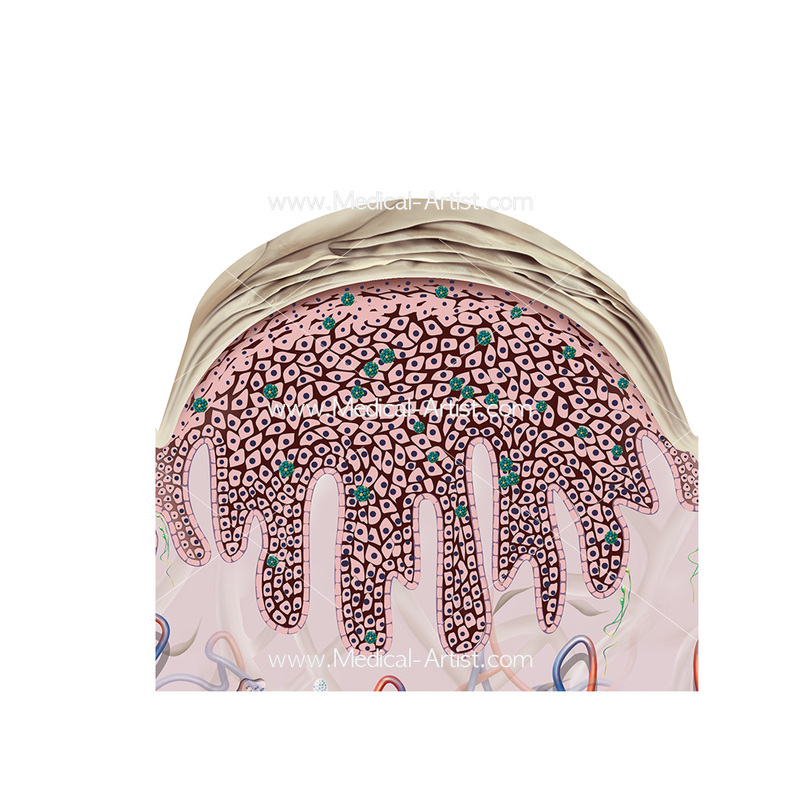 Cutaneous warts are benign skin tumors caused by the Human Papilloma Virus (HPV). 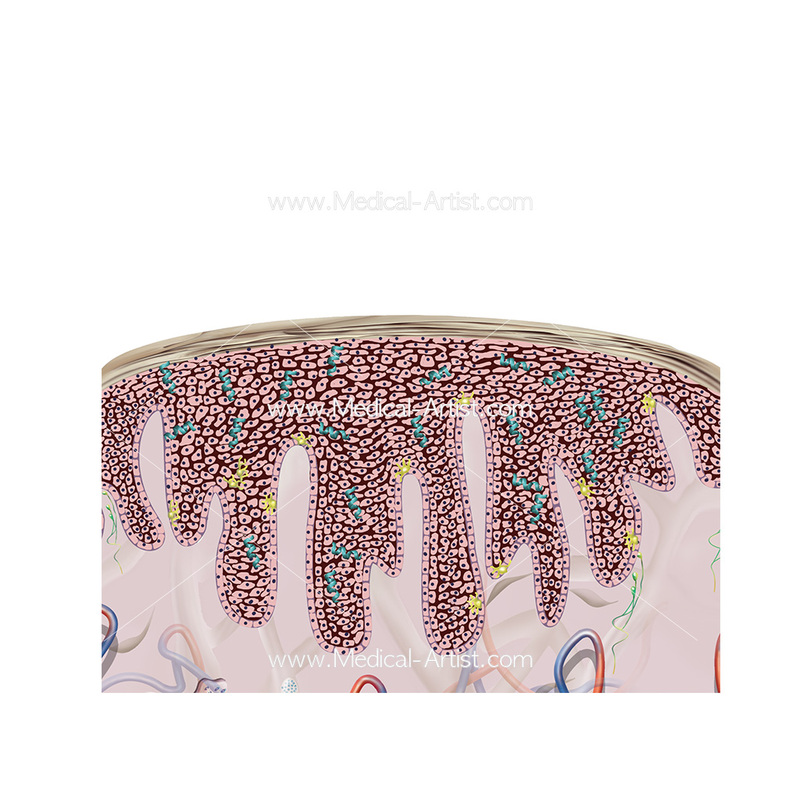 Cytovation commissioned a set of medical illustrations for use as part of their business presentations and promotions whilst seeking a clinical trial in humans. Medical illustrations were also needed for presentations and in a brochure format and the target audience was to be aimed at potential investors with little or no prior knowledge in biology. 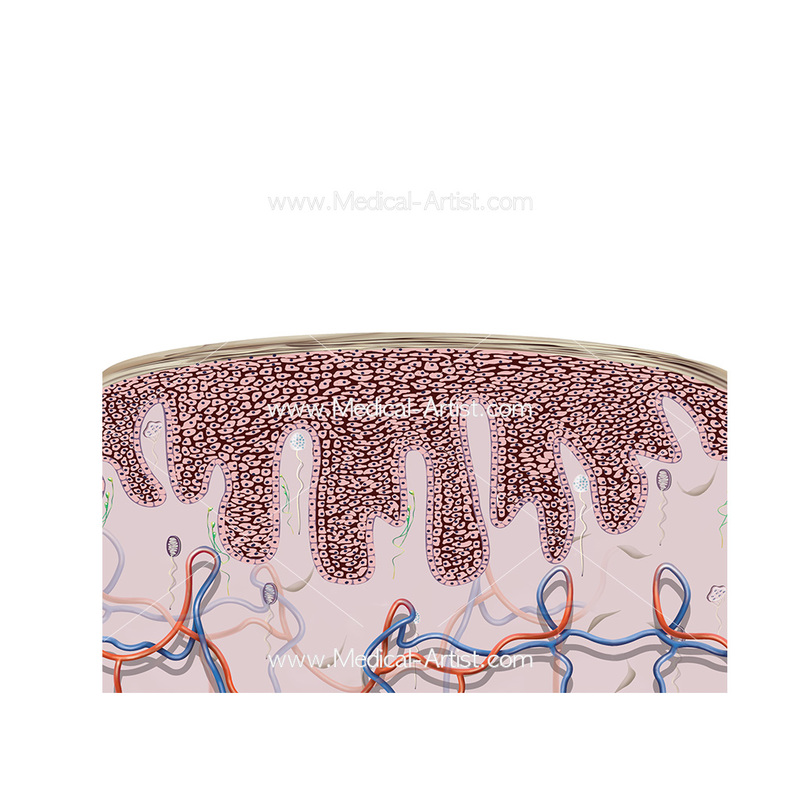 The brief was to create a set of medical illustrations demonstrating the effects of the treatment to remove the wart. The new product was a cream applied directly to the wart so we needed to show the differences of this new cream treatment and the advantages of it over and above other products. 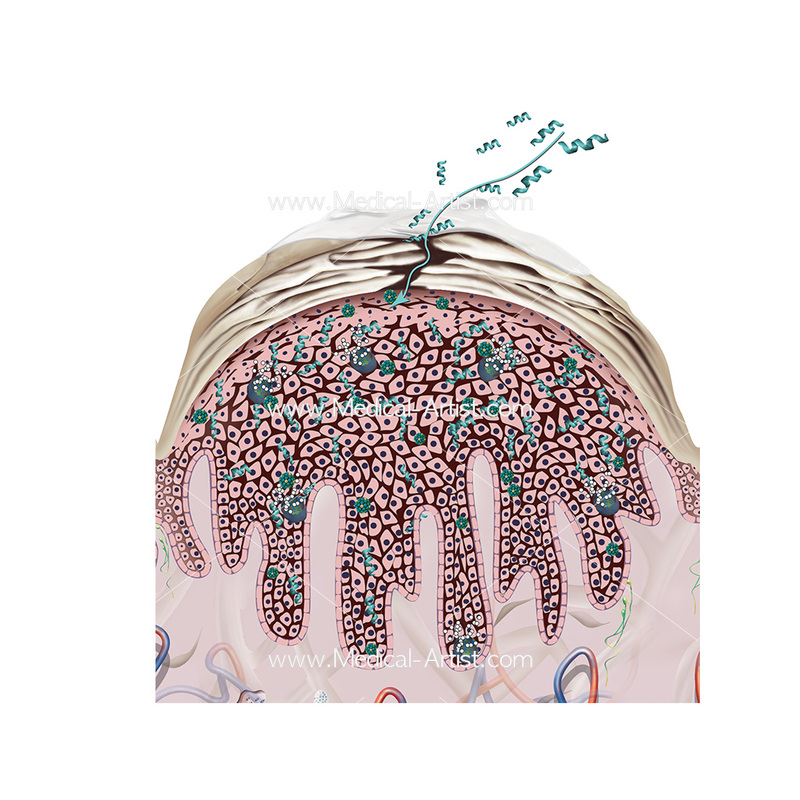 We chose to illustrate the skin at a highly magnified view so that it was going to be possible to illustrate the peptide in the cream disintegrating the outer layer of the cell (the cell membrane). 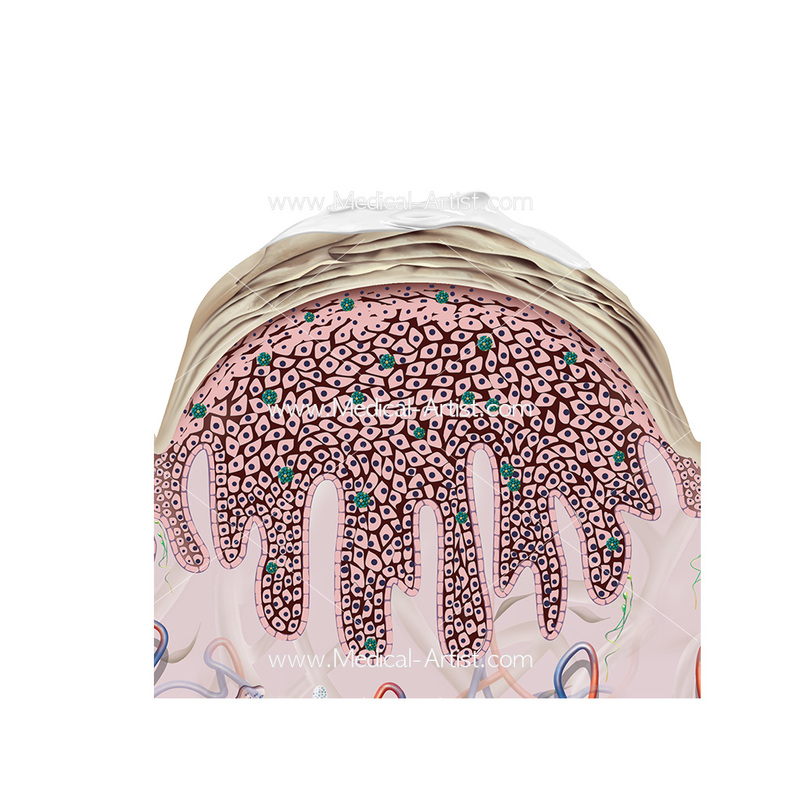 In this way the cells could be seen to burst and the unprocessed viral particles (HPV virus is the cause of warts) displayed for the immune system which then goes on to attacks the wart cells.